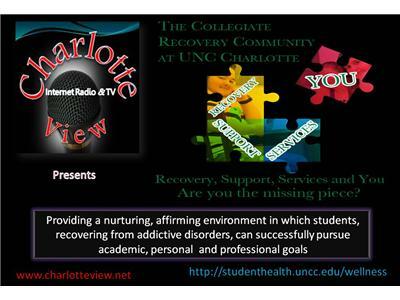 During this interview, the program is explained and we listen, first-hand, to the stories of 2 recovering students, Hillary Belk and Chelsea Schmidt. 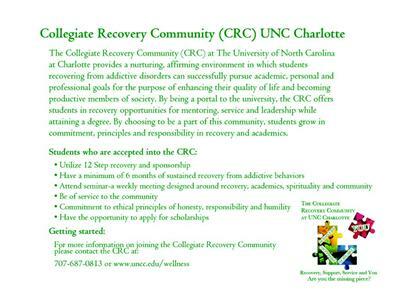 The CRC supports students in college who are in recovery from addiction (of all kinds) The CRC offers weekly 12 Step Meetings (both Alcoholic Anonymous AA and Narcotic Anonymous NA), peer support, community service, seminars on recovery issues and "Game Night" on Wednesdays 6-8pm in the new CRC room room 121 , designed and furnished by Charlotte IKEA. 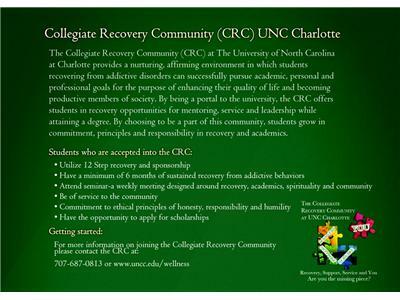 Statistics show that recovering students who attend a university with a CRC have 66% chance of maintaining their sobriety in the first 3 years of school and 86% of maintaining their sobriety within 4-6 years of attending school. 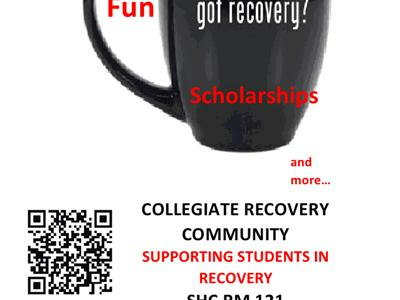 CRC allows students to have a "typical" college experience. 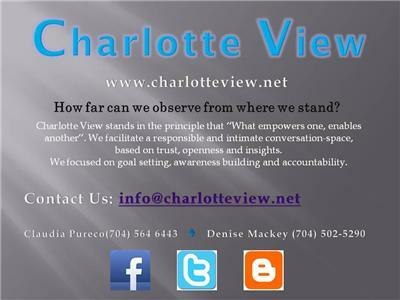 CRC is looking for donations that would raise funding for their tuition scholarship program. The CRC just gave two $1000 scholarships to two of our CRC students.